When you're a blended family and you have kids who split time between two households, it's inevitable that things from one home are shared with the other. Such has been the case this past week with the cold and flu. Every day for the last week, we've had at least one kid home from school because of fever, sore throat, ear infection or a combination of the above. We did have one glorious day on Saturday, where we were all fever free and decided to go ahead with our long awaited plans to meet up with my sister and her girls for a day in the snow. We all had a wonderful time, and loved being there to experience not only our first snow trip as a family, but also my nieces' first ever time being in the snow. We live a couple of hours apart, and knew it would be hard to reschedule, so we're so glad we went... but when we came back I was up most of the night with a boy who couldn't sleep because of ear pain. Yesterday I joined the fever club. It's gone down today, but I'm feeling a bit drained and taking it easy, while also tending to the little guy with the ear infection (who is also feeling better and his fever is down too!). Hopefully tomorrow we'll all be back to school and work as normal. For today, I'm resting and trying to be a little bit productive. 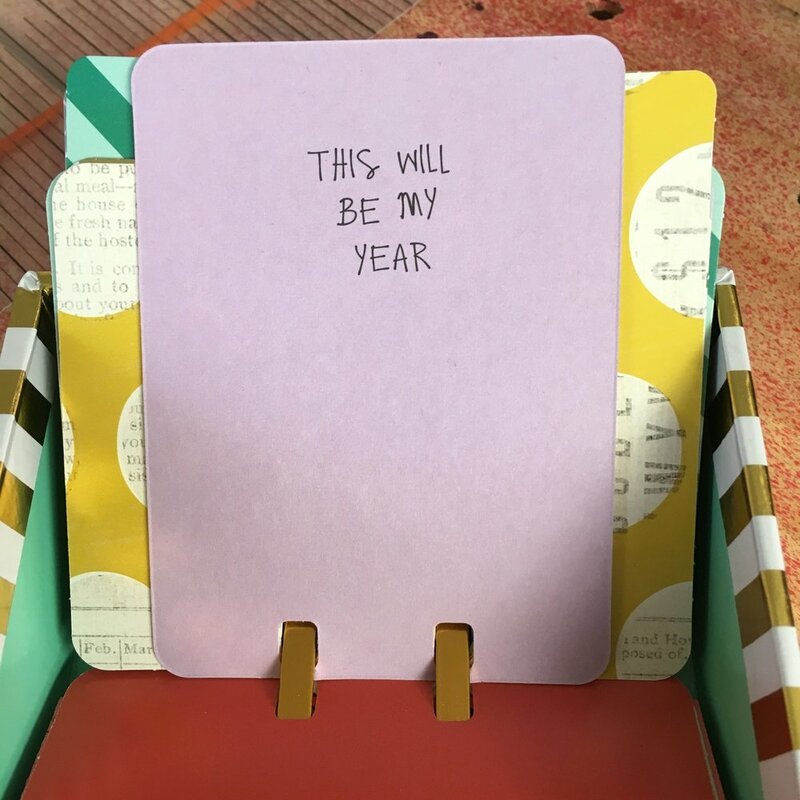 Today I'll spend some time with my Power Sheets, working in Your Best Year 2016, and getting things scheduled in my planner. I also thought I'd show you a little project I started a few weeks ago. I'm really not sure what to call this except an inspiration box. 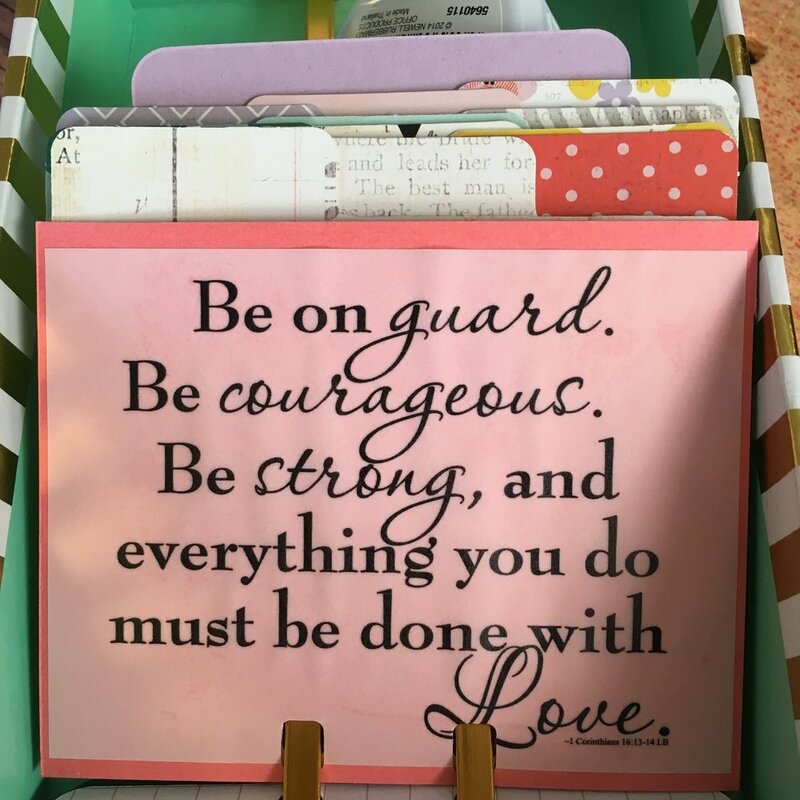 I saw this Memory Dex tray by Heidi Swapp on Amazon one day while searching for something else, and right away I knew I'd have the perfect use for it. I found this video on Youtube, which shows it in use, and I just love the look with all the different papers and pieces sticking out. I decided to get one for myself to use as a desktop inspiration box. Some of the cards I used were made for the Memory Dex file (you can get them on Amazon), and others I either made from scrapbook paper or used Project Life size cards. This hole punch is perfect to make any paper or card work in the Memory Dex file. I used a variety of supplies to decorate my cards. I love The Reset Girl's motivational stickers and Planner Honeys. I'm also using some of my stash of Creative Memories products. Some of the supplies I've used are from Studio Calico, some from Simple Stories, and some from Illustrated Faith. I'm sure there are others, but those are the main go-to supplies that I keep handy, along with a variety of washi tape. I hope you've enjoyed this little flip through. I will be adding to it throughout the year. I plan to get a second Memory Dex file to use at my daughter's graduation party (which only a few months away!)... I plan to have guests write their wishes, memories and other sentiments on these cards, and she can take it with her to college. Disclaimer: a few of the links in this post are affiliate links. I will make a small profit if purchases are made from these links. All products and sites that I've linked to, whether affiliate or not, are things that I truly love and use. 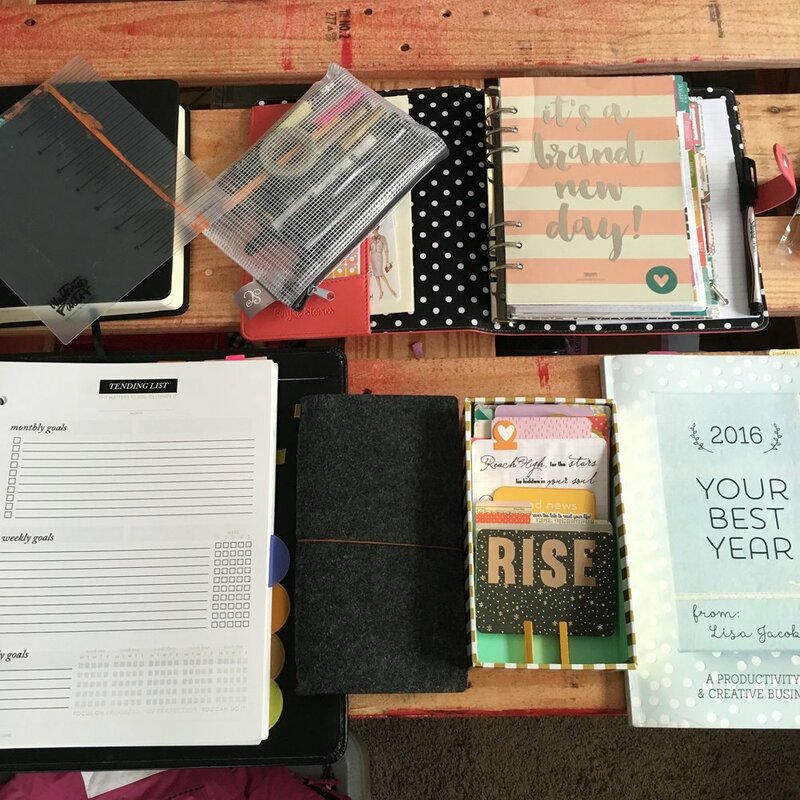 I share these resources because you might not be familiar, and may end up loving them too!